The camps were used by the East Turkistan Islamic Movement (ETIM) and other terrorist groups. 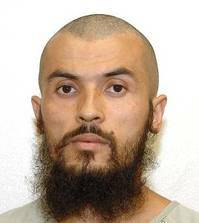 The US Treasury Department and the UN have designated Abdul Haq as a terrorist with ties to al Qaeda and the Taliban. The designation may complicate the Obama administration’s efforts to relocate seventeen Uighur detainees currently held at Gitmo. Some of the Uighur detainees have openly admitted their ties to Abdul Haq.